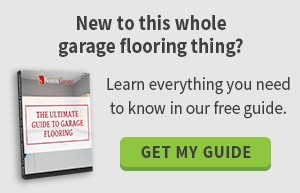 There are many garage storage systems out there. How do you know what you need? You can create a custom design that will work ideally for you, but you need to take some time to prepare. The first step is to take stock of what you have, and what you need. If you see a bunch of bare walls in your garage, you know that you could benefit from garage cabinets and shelving to get stuff up off the floor. However, before you can start planning where to put things, you should perform a thorough sort of the items in your garage. Create piles for things that should stay in the garage, items that belong in other parts of the house and stuff that you want to sell, donate or toss. With a nice, clear space, you can take measurements of the walls and ceiling, as well as the bins, boxes and larger items you plan to store in your garage. Be sure to separate things out by size, as well. 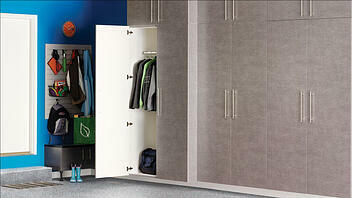 If you want to design a custom cupboard to hold your skis or rakes, you must have adequate space. Take measurements of oddly-shaped items so that you can be sure they will fit. Then you can consider the wide variety of garage storage options, like bike hooks and custom wall hangers. The point of garage storage systems is to give you a way to organize your garage now and in the future. That means that you must think about long-term usage. Many custom garage storage options are designed to be flexible enough to change along with you. However, quality also makes a big difference in your satisfaction throughout the years. It takes hours of preparation and days or weeks of construction to turn your garage into a retreat. You do not want to have to do it again in a couple of years. If you purchase a garage storage system built by a professional, you will enjoy it for many years to come. A little investment in quality goes a long way, as does some time spent figuring out exactly what you need from your garage storage systems. Take stock of your situation, do a little de-cluttering, and then choose a professional design that will fit your home like a glove. Schedule a free on-site design consultation today!